For all the holiday decorating you’ll do, nothing will matter quite as much as your Christmas tree. As the focal point of your holiday festivities, your Christmas tree will serve as the quintessential symbol of the season, bringing with it precious memories and good cheer. Now we know that a tree isn’t a really a tree without those personal touches. After all, every handmade decoration and nostalgic ornament tells a special story. When I was growing up, we crowned our tree every year with the same angel tree topper used since my mother was born. It was precious, well-worn, and sadly too fragile to continue topping trees for generations to come. In searching for alternatives, store-bought tree toppers never seemed to measure up. Sure, they were beautiful, but they didn’t possess the history or special meaning of that weathered angel. I decided that the next best thing would be a handmade tree topper, one created with my kids that we could use year after year with pride. 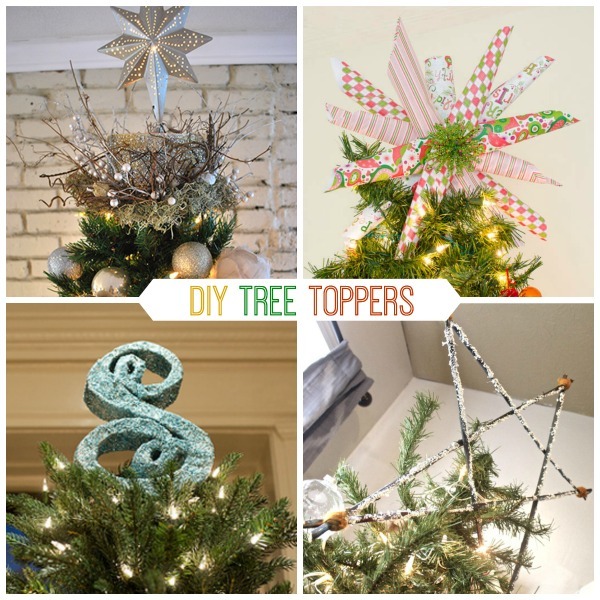 Take a look at 9 stunning tree toppers you can make yourself and click through for complete tutorials!